A quote from my review of I Declare War for Starburst Magazine has found its way onto the back cover of the DVD for the film. 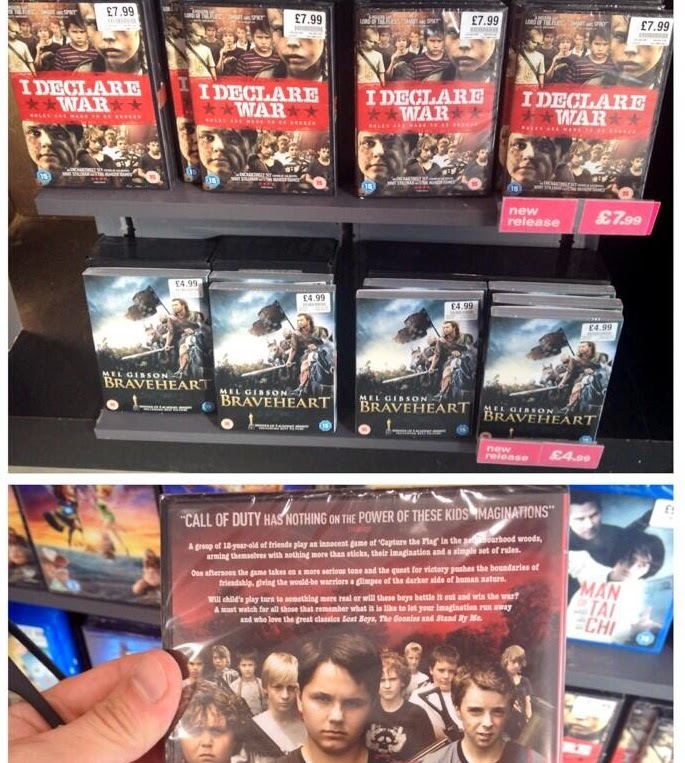 It's on shelves now at HMV (and other retailers as well I'm sure) so go check it out! My full review of I Declare War is at Starburst Magazine here. The quote is 'Call of Duty has nothing on the power of these kids' imaginations'.